The Global Wildlife Center is an expansive, beautiful area that is fun while also helping to conserve many struggling species of wildlife. Taking a safari while in Louisiana is an eye-opening experience that should not be missed. Originally opened in 1991 by Ken Matherne, today the Global Wildlife Center is the single largest wildlife preserve in the country that allows its animals free range to roam around the premises. Over 4,000 animals from many different countries call the center home. The main attraction at the Global Wildlife Center is the tour opportunities that allow visitors to experience the animals firsthand. There are a few varieties of tours available depending on budget and the amount of people in the party. Guided tour by wagon - This tour takes guests through the 900 acres of land and introduces them to the many animals that live on the premises. Private tour - Have a little more money to spend? Take a private tour in a Pinzgauer (an all-terrain vehicle similar to an SUV) with up to seven friends or family members, heading to places on the center that an unreachable by the wagon tour. Although the center does not have any predators, there are many stunning and interesting animals to see (over 40 different species), no matter the tour guests choose. 1. Giraffes - The reticulated giraffes are one of the most popular animals at the center, mainly due to their incredible size! Even the babies are 6 feet tall at birth and weigh around 150#! Make sure to get a bag of animal feed as the giraffes are some of the most fun animals to let eat from the hand! 2. 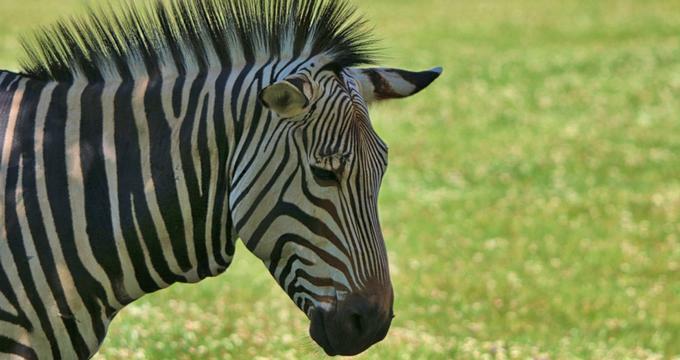 Zebras - Grant’s zebra are all unique, as none have the same stripe pattern, similar to a human’s fingerprint. The zebras at the center are not for feeding, however, as they can bite. 3. Kangaroos - Carrying their babies in their pouches, kangaroos are also another favorite of guests. Come watch them hop around! 4. Camels - The Bactrian camel that lives at the center is one of the rarest in the world. Each of their humps weigh around 25# and they can hold up to 1000 pounds at a time (which can last almost 30 miles daily). 5. Bison - Also known as buffalo, these beautiful and impressive creatures were almost entirely wiped out before efforts to preserve them were put into place. 6. Llamas - Actually part of the camel family (as well as alpacas and the less well-known vicunas and guanacos), llamas have been around for 4500 years and hail from South America, where they were used by the Incans. Field trips for students are a great way to introduce them to the global concerns of conservation in a way that engages them and gets them out of the classroom. Reservations should be made in advance through the website or by calling them directly. Lunch can be provided on request (although students can also bring in a sack lunch to eat at the designated area) and there is access for students with disabilities as well. Teachers can add animal feeding buckets to their field trip as well, to allow students to get up close and personal with the animals at the center. Tours generally take around an hour and a half to two hours and require a minimum of 15 students for the group rate, which is only available during the week. All tours meet the educational guidelines mandated by the state of Louisiana. Come bring students and experience the 900 acres of wildlife that is the Global Wildlife Center! It will be a field trip they will not soon forget. There are a variety of rentals available for special events while on the center. Tree houses - Holding up to 50 people, the tree houses are available overlooking the kangaroos and the pond by the Visitor Center. They can be rented for either 2 or 4 hours and come complete with tables, tablecloths, and chairs. Pavilions - Pavilion rentals are available for larger parties, with advance reservation. Call for price. Birthday parties - A unique birthday party idea for children, this rental includes the tree house package, wagon passes for 2 adults and 10 children (as well as an announcement while on the safari), a sack of feed, a t-shirt for the birthday child, and animal masks for the children. Additional adults and children can be added to the party for an additional fee. None of the parties will include any staffing from the wildlife center. Also, balloons, open flames, glasses, straws and/or piñatas are strictly forbidden.